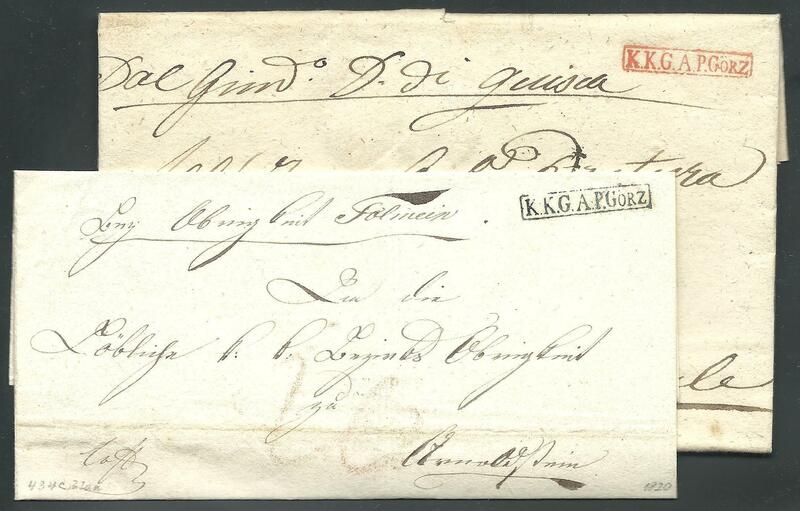 ,,Two prephilatelic covers of Gorica (the one with black cancellation on the wrapper only), with perfect strikes of "K.K.G.A.P.GÖRZ" cancellations in black (?, Mü. 434.c.) and red colour (1827, Mü. 434.c. ), superb quality.